Although 2018 did not produce the silverware or the promotion Sussex would have wanted, there were clear signs of progress under head coach Jason Gillespie. They came third in Division Two of the Specsavers County Championship — a finish that would, this year, lead to promotion — and were runners-up in the Vitality Blast. Sussex had not been to Finals Day since 2012 and as yet have been unable to return to Division One since their relegation in 2015. There is positivity emanating from Hove, with the expectation that a trophy will be brought to the south coast. 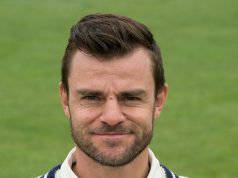 Gillespie, of course, won the Championship with Yorkshire in 2014 and 2015. But for a man who has had such success, it is be surprising to learn that he does not pay attention to results. “It’s very simple to review a result,” he told Deep Extra Cover at the club’s pre-season media day. “It’s either good or bad. You either win or you lose. For me if you have a game plan, it’s important to implement that to the best of your ability and then to review that game plan as well as you can to identify areas that you can be more effective, you can be better at. “I know I’m judged on results as coach. I get that. But I’m being entrusted by the club to coach in my way and I’m very thankful for that but also with that comes a responsibility of knowing that if the team isn’t progressing, isn’t improving under my watch, then they’ll move me on and that’s absolutely fine. One player who has clearly benefitted from Gillespie’s influence is Ben Brown. The wicketkeeper-batsman scored 912 Championship runs last season, his second-best ever return in the competition. 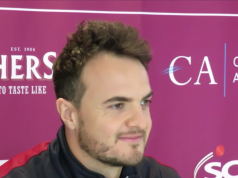 Brown achieved that with the added responsibility of the club captaincy, a role which he has undertaken on a temporary basis in the past but officially for the first time last season. His was a last-minute appointment last year, owing to Gillespie’s visa issues, but with a full winter spent preparing, Brown expects better things this year. Brown is Sussex through and through, having joined the club as an 11-year-old. The dressing room environment that he now inhabits is far more nurturing, he says, than when he first started playing — where young players might feel intimidated. “You can’t be like that anymore. You need as a leader to be able to be a friend of the players, and ultimately be there for them as a person a lot more than perhaps you would in the past be able to shout and scream. The likes of Delray Rawlins, Tom Haines, Phil Salt and George Garton are among the young players who are prospering at Sussex. They will only have improved ahead of this year too. 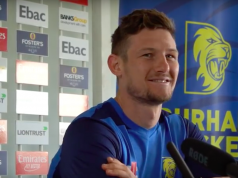 With three teams gaining promotion from Division Two and Sussex having a strong white-ball side, Brown expects his side to be extremely competitive. “I think you have to consider where this squad’s been and where we were and if you’re not really in the running — which I haven’t really felt we’re in the running over the last few years — then to get yourself into places where you can win of course it’s bittersweet but you would hope then you’ve got to improve again this year and you’ll start to get the trophies, get the promotions that we want to.